In terms of precocity and mastery of virtually every musical genre in vogue during his brief life, Wolfgang Amadeus Mozart was a truly remarkable composer, perhaps rivaled only by Felix Mendelssohn. Mozart’s extraordinary genius and versatility have prompted later generations of admirers to assume and assert that every work of which his authorship is authenticated, from juvenilia to the undoubted gems of his maturity, is at least on some level a masterpiece. Well-meaning as such advocacy of the master’s work invariably is, in reality it does Mozart and his music few favors. The Romantic minds of the Nineteenth Century determined that, in order to deserve their adulation, Mozart must be a tragic hero, so his music was performed, promoted, and published with embellished subtexts of intrigue and strife, fabricating a larger-than-life persona that in many ways had little in common with the historical Mozart. The Wunderkind of Salzburg endured many hardships, to be sure, but the Mozart who emerges from the composer’s extensive preserved correspondence is not a brooding, melancholic, echt-Romantic figure. Rather, he is an engaging, sometimes delightfully ribald fellow who, for all his social frivolity, is both utterly serious about his craft and tremendously insightful in assessing the work of his contemporaries. As the significance of composers like Josef Mysliveček has gradually been reestablished in the past half-century, it has become increasingly apparent that Mozart was not the sole musical innovator in the second half of the Eighteenth Century, single-handedly responsible for the transition from Viennese Classicism to early Romanticism. From the earliest of his works, though, there is a singularity in Mozart’s music that sets him apart from his contemporaries. Splendidly-written as the operas of both Haydns, Mysliveček, Dittersdorf, Holzbauer, and Salieri often are, they only fitfully display the emotional directness—the heart, as it were—that Mozart’s operas consistently wield. It is a disservice to Mozart to claim that Il re pastore is a masterwork equal in importance to the later Singspiele and Da Ponte operas, but the serenata has a compelling charm of its own, the Arcadian delicacy of its setting contrasting with music that frequently pushes singers to the limits of their techniques. What makes Mozart one of the greatest composers of opera is the manner in which he lures audiences into genuinely caring about characters who go about their business in recitatives and roulades. What his Il re pastore needs in order to capitalize on that allure is a cast and conductor who are capable of mastering the score’s many difficulties without bloating the dimensions of the drama. What Signum Classics’ and Classical Opera’s recording of Il re pastore offers is, simply put, an account of the piece that comes as near to perfection as any performance might ever hope to do. Mozart had reached the advanced age of nineteen when Il re pastore—his tenth endeavor in operatic form!—was first performed on 23 April 1775. Commissioned to celebrate a visit to the archiepiscopal see of Salzburg by Archduke Maximilian Francis, the youngest son of Empress Maria Theresa and an almost exact contemporary of Mozart, the serenata made use of an adaptation of a 1751 Metastasio libretto by Prince-Archbishop Colloredo’s resident chaplain and poet, Abbé Varesco, who would later supply the libretto for Mozart’s first fully mature opera, Idomeneo, re di Creta. Reducing Metastasio’s three acts to two for Salzburg, Varesco and Mozart condensed the drama into a taut nucleus from which attentive performers can extract surprising jolts of electricity. Il re pastore is scored for pairs of flutes, oboes, English horns, bassoons, and trumpets, four horns, strings, and harpsichord and cello continuo, complemented here by double bass—and brilliantly done by harpsichordist Steven Devine, cellist Joseph Crouch, and double bass player Cecilia Bruggemeyer. The musicians of the Orchestra of Classical Opera approach the virtuosic hurdles of Mozart’s music as though clearing them were as easy as walking. Playing by strings and winds alike is exemplary, the atmosphere of concentration and assured grasp of the idiom apparent from the first bars of the Molto allegro Overtura, delivered with quicksilver rhythms that would make the piece an introduction as suitable to ballet as to opera. The courantes, passacaglias, and sarabandes of Baroque opera were not altogether forgotten in 1775, after all, especially in Salzburg, where Heinrich Biber had virtually redefined the passacaglia a century earlier. The Classical Opera musicians execute their parts with passion and precision, wholly sidestepping the pedantry frequently encountered in performances of music of this vintage. The musical component of the Prince-Archbishop’s court was under the supervision of Michael Haydn at the time of the first performance of Il re pastore [it is conjectured that Haydn’s wife, the soprano Maria Magdalena Lipp, may have sung Tamiri in the première], but it is difficult to imagine Mozart having heard his music played as well as it is on this recording. The very favorable impression made by conductor Ian Page’s leadership of Classical Opera’s previous recordings of Mozart’s Apollo et Hyacinthus, Die Schuldigkeit des ersten Gebots and Mitridate, re di Ponto [reviewed here] is expanded exponentially by his conducting of Il re pastore. With traversals of the score led by committed Mozarteans Leopold Hager, Sir Neville Marriner, and Nikolaus Harnoncourt in the discography, Il re pastore has not been poorly served on disc, but Page’s direction reveals how greatly the music can benefit from a fresh approach that takes it cues solely from the music at hand, not from the perspectives of Mozart’s later operas. Conducting Il re pastore like a smaller-scaled Idomeneo or La clemenza di Tito is not wholly ineffectual, but the score yields far greater joys when treated not as a momentary stop on its composer’s journey but as its own entity. Page allows the specific atmosphere of Il re pastore to materialize on its own terms, guiding a performance that presents the opera without the editorial commentary of viewing the opera through lenses clouded by external influences. Page's focus remains solely on performing Il re pastore as Mozart’s score dictates. Il re pastore is an opera in which the drama largely plays out in volleys of fiorature: passages of the lyrical delicacy familiar from the great operas of Mozart’s maturity, especially Così fan tutte and Die Zauberflöte, are few, but at the age of nineteen Mozart already possessed a gift for individualizing characters’ utterances despite similarities among the vocal lines composed for them. 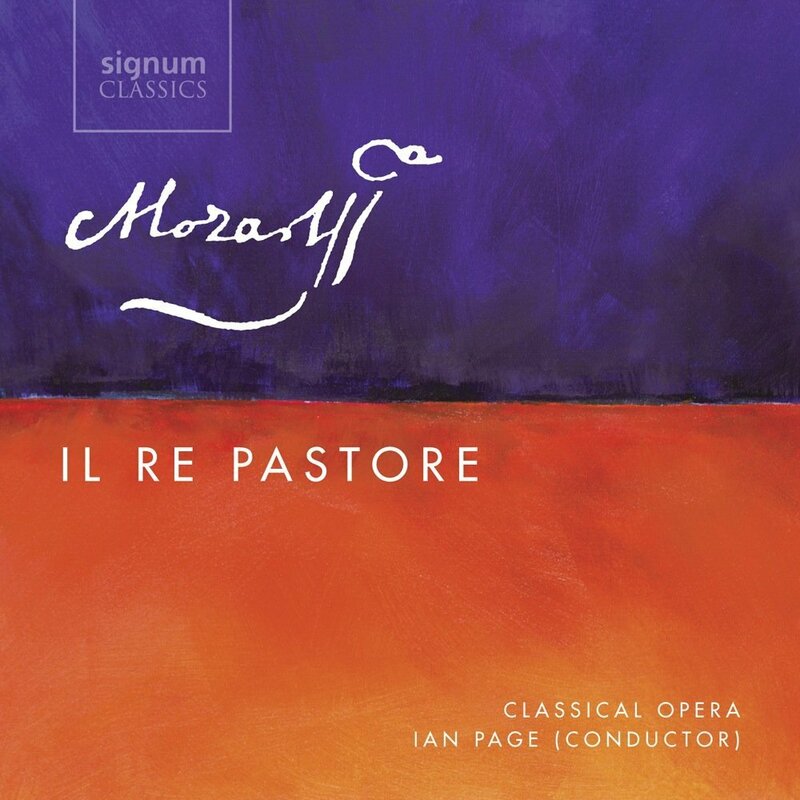 Both acts of Il re pastore subject the singers to progressions of arias as daunting as any written in the Eighteenth Century, and the greatest joy of this recording is the confidence with which the obstacles are overcome by this cast. In Act One, the amorous entanglements among Aminta, the modest shepherd who is actually the rightful king of Sidon, his fellow peasant Elisa, the unfortunate Tamiri, and the aristocratic but lovesick Agenore are tied into a Gordian knot of misunderstandings and shifting ambitions. Created in Salzburg by soprano castrato Tommaso Consoli, the rôle of Aminta is the sentimental spine of the opera, and the depiction of the character by soprano Sarah Fox is nothing short of authoritative. Fox sings the Andantino aria ‘Intendo, amico rio, quel basso mormorio’ with extraordinary poise, almost wholly avoiding shrillness at the top of the range. As a most welcome appendix to Act One [Il re pastore is not a long piece, after all], Mozart’s concert reworking of Aminta’s scene is provided, too, and Fox communicates with the histrionic force of a Hamlet or a Troilus in the Andante accompagnato ‘Ditelo voi pastori,’ unique to the concert version and strongly reminiscent of ‘Che farò senza Euridice’ in Gluck’s Orfeo ed Euridice. In both contexts, Fox sings the Allegro aperto aria ‘Aer tranquilo e dì sereni’ with winning panache, untroubled by the repeated top B♭s. Her vocalism is especially radiant in the aria’s Grazioso section, ‘Che, se poi piacessi ai fati di cambiar gl’offici miei,’ which she phrases with impeccable musicality and concentration on the meaning of the words. The meddlesome but ultimately magnanimous conqueror Alessandro’s—yes, that Alessandro, he of ‘the Great’ notoriety—ferocious Allegro aria in D major, ‘Si spande al sole in faccia nube talor così,’ is delivered by tenor John Mark Ainsley with grandeur and unerring precision of pitch befitting a regal personage. Ainsley’s voice has sometimes sounded slightly fatigued in the past couple of years, but he is here wholly in his element—quite a feat in such throat-threatening music—and sings with the kind of fluency and fluidity that Fritz Wunderlich brought to Belmonte and Tamino. Unflinchingly taming the bravura beasts of his part, Ainsley is a phenomenally virile, visceral Alessandro. Heard on disc in many rôles, including as an uncommonly sensitive but rousingly heroic Bajazet in Händel’s Tamerlano, Ainsley is reliably a suave, intelligent artist, but these qualities have never been more in evidence than they are in his singing on the present discs. 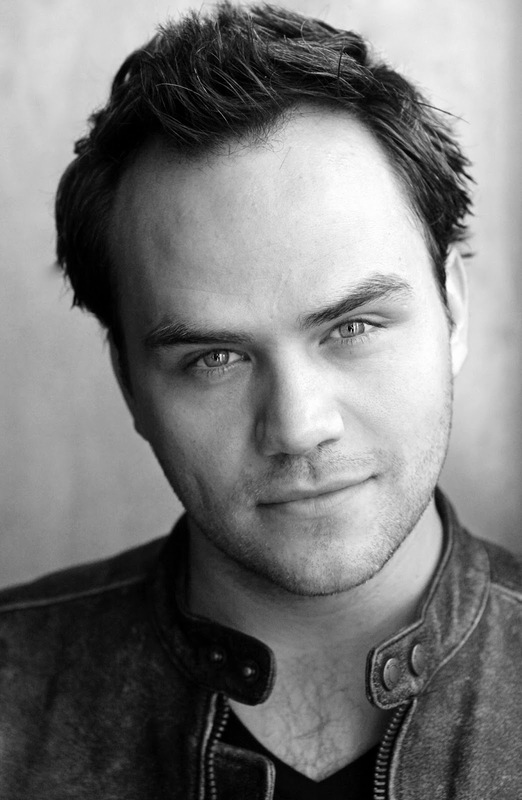 Singing Agenore, the Sidonian nobleman who is incurably besotted with Elisa, tenor Benjamin Hulett is, like Ainsley, audibly on familiar, comfortable terrain in the character’s Grazioso aria ‘Per me rispondete, begl’astri d’amore’ in Act One. Indeed, Hulett has never sounded better on disc. In a Moscow concert performance of Händel’s Alcina in January 2015, not long after this Re pastore was recorded, the young tenor, perhaps affected by a seasonal malady, occasionally struggled with Oronte’s music, and his singing of Agenore’s music is not wholly devoid of effort. Every endeavor made by this fine singer is put to telling dramatic use, however, and the effort that he expends in this performance of Il re pastore is indicative of the extent to which he genuinely cares about singing Mozart’s vocal lines as the composer intended them to be sung. There is no question that hearing Hulett’s splendid performance of ‘Per me rispondete, begl’astri d’amore’—the best on disc by a considerable margin—would have prompted a hearty ‘Bravo!’ from the punctilious Mozart. Tamiri, the daughter of the tyrannical ruler of Sidon deposed by Alessandro, is portrayed by soprano Anna Devin with disarming sincerity and a profound exploration of the competing emotions that make the character so fascinating. Devin sang Morgana opposite Hulett’s Oronte in the Moscow Alcina, and her Tamiri brims with the same energy and sparkling tone that defined her performance of Morgana’s celebrated ‘Tornami a vagheggiar’ in Russia. Here, she sings Tamiri’s Allegro aperto aria ‘Di tante sue procelle già si scordò quest’alma’ exhilaratingly, soaring through the divisions with laudable poise. Devin, Fox, and Tynan take pains to ensure that their respective characters are discernible in recitatives and arias, and Devin’s Tamiri is a strong-willed, credibly conflicted woman who pursues her destiny most musically. All five of the singers in this performance of Il re pastore are as expressive in their articulations of recitatives as in their readings of arias, and they are aided immeasurably in their avoidance of studio-bound ennui by Page’s conducting. Tynan bravely handles the task of jump-starting the drama of Act Two with her full-throated voicing of Elisa’s Andante aria ‘Barbaro! oh Dio! mi vedi divisa dal mio ben,’ making easy going of the punishing tessitura and technique-testing fiorature repeatedly cresting on top B♭. Her display of unflappable artistry is answered by Ainsley, who makes Alessandro’s arias in Act Two, the Allegro moderato ‘Se vincendo vi rendo felici’ and the Allegretto ‘Voi, che fausti ognor donate,’ penetrating studies of the mighty Macedonian’s complicated psychology. Still, even Ainsley’s meticulously-honed skills as a vocal actor pale in comparison with his stylish but imposing musical bravado. Aminta’s E♭ major Andantino Rondeaux ‘L’amerò, sarò costante’ is the most familiar—a relative term in this context—number in Il re pastore, the only aria in the score to have enjoyed exposure beyond the handful of performances of the complete opera. It is a fine piece, worthy of its occasional inclusion in concerts and recordings of Mozart arias, but, in truth, it is not markedly superior to its siblings in Il re pastore, the music in the serenata being of admirably high quality from start to finish. As sung by Fox in this performance, though, ‘L’amerò’ is undoubtedly a zenith in both the score and this recording of it. Tamiri’s Andantino grazioso aria ‘Se tu di me fai dono’ is also a high point in the opera’s topography, and Devin phrases it with feeling and finesse. Hulett, too, sings as satisfyingly in Act Two as in Act One, his grand performance of Agenore’s Allegro aria ‘Sol può dir come si trova un amante in questo stato’ leaving the listener with an unforgettable souvenir of his artistry. The effect of the undeviating excellence achieved by the singers in this Il re pastore, bolstered by unusually well-informed conducting, cannot be overstated. The closing Coro, ‘Viva, viva l’invitto duce,’ prefigures the extended finales of Le nozze di Figaro and Don Giovanni, but this recording succeeds again by presenting the serenata’s final scene not as a prototype for the concluding pages of later scores but as an intelligently-written resolution in its own right. In performances of music from the Eighteenth Century, authenticity is an elusive commodity. It is known, for instance, that Aminta in Il re pastore was first sung by a castrato, but how might he have sounded? Did the composer write to order for the capabilities of the musicians at his disposal, or did his music expand their technical boundaries? Though Mozart’s career is for the most part painstakingly researched, a work like Il re pastore nonetheless poses difficult questions. Rather than inventing hypotheses and then attempting to convincingly translate them into Mozart’s musical language, this performance seeks plausible answers to those questions in the music itself. Classical Opera’s endeavors aim not at the manufactured authenticity born of conjecture and dry theory but at insightful interpretation of the clues interwoven among the ledger lines, and this is a recording of Il re pastore that educates by making carefully-considered decisions rather than apologies and excuses. For what could a performance such as this need to apologize unless it is for eclipsing all previous recordings of this appealing score? Italy in the first half of the Nineteenth Century—when there was no unified Italy in the modern sense, that is—was a volatile menagerie of ever-changing cultures similar enough to foster a burgeoning sense of shared national identity and sufficiently dissimilar to perpetuate the divisiveness begotten by generations of political intrigues and constantly-shifting allegiances. With the establishment of the short-lived Napoleonic Republic of Italy in Alpine Italy in the century’s first decade, a vital step towards eventual unification was taken, but would-be Italians in reality only traded Hapsburg overlords for Buonaparte scions. The seeds of the Risorgimento were sown, however, and the dissolution of the Papal States further redefined dominion over the Italian peninsula. It was into this cultural and political maelstrom, the Italy represented by Sardou’s and Puccini’s Baron Scarpia, that Pietro Generali’s ‘melodramma sentimentale’ Adelina was born at Venice’s Teatro San Moisè in September 1810. Using a libretto adapted by Gaetano Rossi from a French model set to music in the previous decade by André Grétry, Adelina combines a bucolic Swiss setting reminiscent of that in Bellini’s La sonnambula with surprisingly modern sensibilities. No standard-issue concoction of mistaken identities and fortuitous last-minute revelations, the drama of Adelina is a convolution of illicit love, an illegitimate child, and the effects of shame and social stigmas on individuals and families. If this seems unlikely subject matter for the venue in which the eighteen-year-old Gioachino Rossini’s hastily-written first opera, the one-act farsa La cambiale di matrimonio, premièred less than two months after the first performance of Adelina, perhaps it was: after devoting the next eight years to producing a further five of Rossini’s operas—L’equivoco stravagante, L’inganno felice, La scala di seta, L’occasione fa il ladro, and Il signor Bruschino—and a forgotten opera by Giovanni Pacini, the San Moisè, inaugurated in 1640 by the first performance of Monteverdi’s L’Arianna, closed. 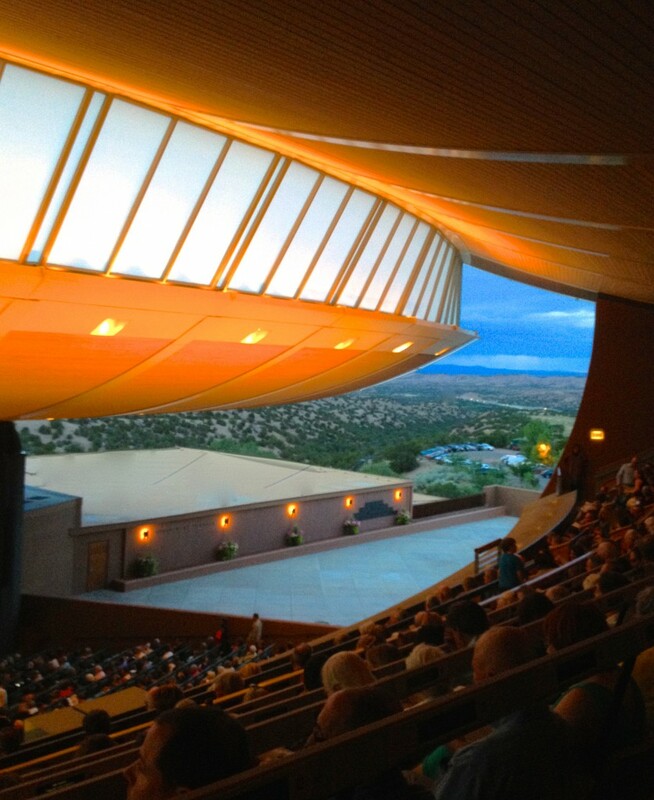 Few things in opera are ever wholly as they seem, however. The nature of the reception that Adelina received at its première is undocumented, but it is recorded in The Harmonicon that Adelina was performed at the King’s Theatre in the Haymarket in London in 1825, when the rôle of Erneville was sung by famed tenor Manuel García not long before his departure for New York at the invitation of Lorenzo Da Ponte. Ironically, it was stated by The Harmonicon’s unnamed author that Generali ‘has taken his best subjects from Rossini’—an interesting observation considering that the sole intersection among the two composers’ works was Adelaide di Borgogna, Rossini’s setting of which, utilizing a libretto by Giovanni Schmidt, premièred in 1817 in Rome, Generali’s, its libretto by Luigi Romanelli, in 1819 in Rovigo. There is no evidence that Generali was familiar with Rossini’s score, but he was clearly confident enough of his own renown to risk competing with his younger colleague. That Adelina was performed in London fifteen years after its première strongly suggests that the work won lasting favor in and beyond Venice. One of the defining missions of the ROSSINI IN WILDBAD Festival is exploring the music of Rossini’s contemporaries, and the Festival’s 2010 production of Adelina offered an unexpected opportunity to make the acquaintance of Generali’s fascinating score. Now, NAXOS’s ongoing commitment to recording ROSSINI IN WILDBAD productions brings Adelina to an even wider audience. Born in 1773 in Masserano in the Piedmont, near today’s border with France, Generali is not among the most widely-known composers of his era, but he was clearly extensively and sincerely admired during his lifetime. His first opera having met with at least moderate success at its first performance in 1800, he was an established entity in northern Italian opera by the time of Adelina’s première. Eighteen years later, on 27 December 1828, Generali’s opera Francesca da Rimini had the distinction of reopening the extensively-renovated Teatro La Fenice, and one act from Francesca da Rimini was included in the gala performance featuring an act from each of the season’s greatest successes that was presented to mark the end of Carnevale in 1829. Logically, then, the impression that Adelina made in Venice almost certainly cannot have been negligible. Despite a few problems, this NAXOS recording also makes a vivid impression. Foremost among those problems is the recording itself. Likely a result of the staging rather than flaws in microphone placement, this is one of NAXOS’s noisiest recordings, every footfall, sneeze, and cough captured and reproduced with crystal-clear fidelity. Appreciation of Generali’s music is not adversely effected, but the near-continuous non-musical distractions are a considerable nuisance. Veterans of a number of ROSSINI IN WILDBAD productions recorded by NAXOS, the Virtuosi Brunensis play Generali’s score idiomatically under the direction of Giovanni Battista Rigon, whose steady beat keeps the performance moving without rushing either the singers or the pace of the drama. Occasionally, the editing of material from the three performances that yielded the recording makes transitions among tempi seem clumsier than they probably were in the theatre, but Rigon maintains a firm hand and instinctively supports the singers. The fortepiano continuo of Eliseo Castrignanò is one of the recording’s greatest strengths, his playing masterfully enlivening otherwise dull secco recitatives. Under Rigon’s direction, the musicians deliver a lively account of the opera’s Sinfonia, its initial Largo shaped with subtlety that gives way to exuberance in the animated Spiritoso, and musical standards are commendably high throughout the performance. 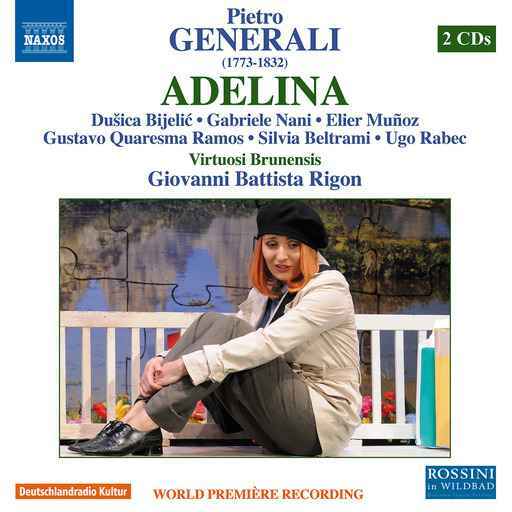 This is not uniformly great or greatly difficult music, but there is never a moment in this recording when the musicians’ performances suggest anything other than complete faith in Adelina’s stage-worthiness. In the opera’s opening scene, ‘Ecco il sol che spunta fuori’ introduces the listener to the Latin-spouting schoolmaster Don Simone and prominent man about town Varner, sung by baritones Elier Muñoz and Gabriele Nani. The Havana-born Muñoz interacts with his colleagues with expert timing and is often genuinely funny in his singing of Simone’s droll recitations of Latin maxims, a conceit that could quickly become tiresome. A native of Bergamo, Donizetti’s hometown, Nani sounds as though he has bel canto in his blood: his Belcore and Malatesta in his fellow Bergamascho’s L’elisir d’amore and Don Pasquale are sure to be as delightful as his paranoid, pompous Varner. They are joined by the sparkling Carlotta of Bolognese mezzo-soprano Silvia Beltrami in ‘Si tu vales, vale, valeo,’ delivered charmingly by all three singers, father and daughter—Varner and Carlotta—responding to Simone’s pseudo-scholarly bluster with wit and boundless energy. Born in Bosnia and Herzegovina and later resident in Serbia, soprano Dušica Bijelić brought to her assumption of the title rôle in the Wildbad Adelina a cosmopolitan résumé that belied her youth. In 2012, two years after the production heard on this release, she participated in a very selective Carnegie Hall masterclass with Renée Fleming, and even by 2010 she already had an impressive array of performances to her credit. Her portrayal of Adelina is a testament to the solid technical foundation of her musical education and to her gifts as an introspective singing actress. It is indeed sweet sound that characterizes her singing of ‘Dolce suon mi scendi al core,’ and she voices ‘Che farò?’ and ‘Chi mi consiglia?’ attractively and aptly pensively. Bijelić possesses a voice that seems destined for important contributions to performances of bel canto repertory in the Twenty-First Century, her upper register and negotiations of fiorature consistently impressive in this performance. She, Nani, and Muñoz sing the trio ‘Ah! l’avesse almen colpito’ engagingly, the soprano’s voice floating alluringly above the baritones’ grumbling. In passages of recitative preceding the aria of Adelina’s seducer, said reprobate’s servant Firmino is portrayed by bass Ugo Rabec. 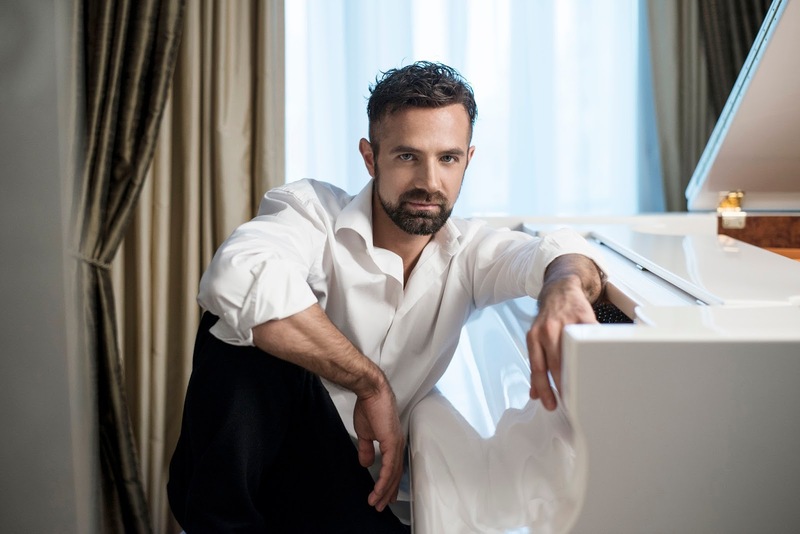 Born in the French commune of Vittel, famous for its widely-distributed bottled water, Rabec voices his lines with dramatic directness and sturdy tone. When his master Erneville arrives on the scene, it is in the person of Rio de Janeiro-born tenor Gustavo Quaresma Ramos, a singer who, like Bijelić, seems earmarked for an estimable career in the tenor repertory of the first half of the Nineteenth Century. He phrases Erneville’s aria ‘Al respirar quest’aure, fra così ameni oggetti’ with suavity, his timbre taking on a lovely sheen as the vocal line climbs above the stave. The estranged lovers are reunited in the appealing duet ‘Oh, il più ingrato,’ Bijelić’s Adelina audibly falling in love with Quaresma Ramos’s Erneville anew as their voices intertwine. Indeed, their voices are as captivating in ensemble as they are individually: they would surely charm listeners as Rossini’s Comtesse Adèle and Comte Ory. Muñoz provides a rollicking reading of Simone’s aria ‘Falsus, falsus est, che Amor sit,’ dispatching Generali’s patter writing with the acumen of a natural Figaro or Dandini. Muñoz is a source of vocal mettle and spirited but restrained humor throughout the performance: as Muñoz portrays him, it is hardly surprising that it is Simone who is the catalyst for the opera’s lieto fine. Bijelić sings Adelina’s aria proper—Generali identifies her first appearance in the manuscript solely as ‘Sortita di Adelina’—‘Oh dio! Esporre il sangue mio!’ with great immediacy, the ornaments elegantly integrated into her articulation of the vocal line. Likewise, her traversal of ‘Ma in ciel v’è un nume giusto, pietoso’ is distinguished by graceful nimbleness. The opera’s finale evinces an ‘all’s well that ends well’ philosophy, the wily Simone manipulating Varner’s prejudices and facilitating the ultimate reconciliation of father, daughter, and new son-in-law. ‘Oh natura, sì, ti sento’ and ‘La scelta del mio core’ receive from the entire cast the kind of what-will-happen-next concentration that can prove so effective in opera, no matter who wrote the score. Rigon and the Wildbad cast pay tribute to Generali with a rousing performance of Adelina’s effervescent finale. It cannot be claimed that Adelina is a rediscovered masterpiece that is likely to carve for itself a niche in the international repertory among the better-known works of its composer’s generation. Making such a claim was not the purpose of ROSSINI IN WILDBAD’s production of the opera or of this NAXOS recording of it. What this and other Wildbad productions and NAXOS recordings of them do so efficaciously is confirm that Rossini was not a solitary genius in an artistic desert. If Adelina is representative of his work, Pietro Generali was a fantastic craftsman whose dramatic instincts transcended the uncomplicated frivolity of many of his contemporaries. Though imperfect in execution, this stylish, thoroughly enjoyable Adelina is much more valuable than another inadequate, half-hearted Barbiere di Siviglia. History suggests that it was Aristotle who mused that ‘the aim of art is to represent not the outward appearance of things, but their inner significance.’ One of the principal dismays of those who love Classical Music in the Twenty-First Century is the frequency with which even the most admired musicians fail to achieve that aim. The notes are there, the rhythms, the correct accents, those outward appearances, but where is the inner significance that transforms notes, rhythms, and accents into music? Few Americans with televisions in their homes can have avoided the ubiquitous Law and Order franchise, in the opening sequence of which it was famously stated that citizens are protected by those who enforce laws and those who prosecute offenders, complementary instruments of justice whose experiences the series sought to recreate. 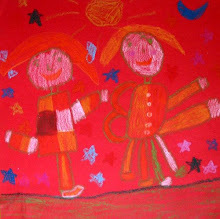 Music, too, is served by two groups of practitioners: those who make noise and those who communicate emotions in sound. Max Emanuel Cenčić, Michael Lewin, Timothy Myers, Andrew Owens, and Angela Renée Simpson are musicians whose aim is sure, their endeavors unerringly revealing the inner significance—the art—of the works that they perform. These are their stories. Not so long ago, countertenors were by their very existence remarkable. When Alfred Deller on one side of the Atlantic and Russell Oberlin on the other dedicated their talents to sparing the works of Baroque composers the indignities of transposition and gender reassignments, they ushered in a new age of reassessing, rejuvenating, and respecting Baroque repertory. They also charted the course that in the later Twentieth and Twenty-First Centuries has lead singers in their Fach to virtually all of the world’s important opera houses and concert stages. I have been aware of the artistry of Max Emanuel Cenčić since he was a golden-voiced treble soloist with the famed Wiener Sängerknaben. His was an astonishing talent then and is even more awe-inspiring now, but it is not solely an incredible natural instrument that elevates Cenčić into both the ranks of exceptionally gifted countertenors and the company of the greatest musical artists of any voice type and genre, past and present. 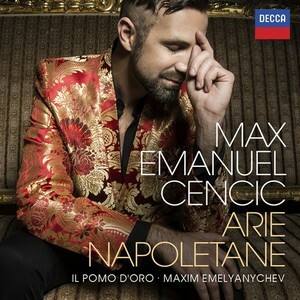 His most recent disc, Arie Napoletane [DECCA 478 8422], my choice for Best Solo Vocal Recital Disc of 2015, epitomizes the qualities that mark Cenčić as one of the new millennium’s most important musicians​. Supported by Il pomo d'oro and harpsichordist and conductor Maxim Emelyanychev, who unexpectedly headlines the disc’s virtuosic finale with a no-holds-barred performance of Domenico Auletta’s Concerto for harpsichord, two violins, and basso continuo in D major, Cenčić sings arias from Leonardo Leo’s Demetrio, Scipione nelle Spagne, and Siface, Giovanni Battista Pergolesi’s L'olimpiade, Nicola Antonio Porpora’s ​Germanico in Germania [a complete recording of which, recorded in June 2014, will be forthcoming on DECCA, following the February/March 2016 international release of Cenčić’s new recording of Händel’s Arminio] and Polifemo, Alessandro Scarlatti’s Il Cambise, Massimo Puppieno, Il prigioniero fortunato, and Il Tigrane, and Leonardo Vinci’s Demetrio and Eraclea, many of which appear on disc for the first time. When I saw Cenčić perform the rôle of the grieving Sposa of the title character in Stefano Landi’s Il Sant’Alessio with Les Arts Florissants in New York, he achieved the astonishing feat of making the exalted Alessio—portrayed by no less an artist than Philippe Jaroussky!—seem insignificant except as the Existential motivation for the Sposa’s suffering. A laudably finished artist even in his youth, when he recorded astoundingly mature interpretations of Lieder by Mendelssohn, Schubert, Schumann, Brahms, Mahler, and Richard Strauss [alongside his Capriccio recordings of cantatas by Antonio Caldara, Domenico Scarlatti, and Antonio Vivaldi, his Lieder disc Schöne Fremde, recorded before his transition to the countertenor register, remains a title to which I listen often], Arie Napoletane and his DECCA recordings of Hasse’s Siroe, re di Persia [reviewed here] and Vinci’s Catone in Utica [reviewed here] reveal that Cenčić continues to refine both his technique and his wide-ranging artistic curiosity with every new project. Not yet forty years old, he has already enjoyed a career longer than those of many of the most admired singers of recent years, but each assertion that he has reached his artistic peak is confounded by his next effort. Among the eleven arias on Arie Napoletane, all splendidly sung, ‘Dal suo gentil sembiante’ from Leo’s Demetrio is emblematic of Cenčić’s work: handsomeness, stylishness, and expressiveness are hallmarks of both the singer and the man. To learn more about Max Emanuel Cenčić, please visit his website. ‘How far that little candle throws his beams! 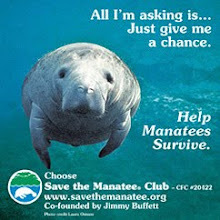 So shines a good deed in a naughty world,’ Portia exclaims in Act Five of William Shakespeare’s The Merchant of Venice. With which words might the Bard have extolled the work of a genuinely gifted, important pianist amidst the deafening babel of so much bad playing? Man of flesh or literary phantom, Shakespeare might have argued that the plethora of poorly-written plays that congested Elizabethan theatres caused the genius of his own work to shine all the more brightly. 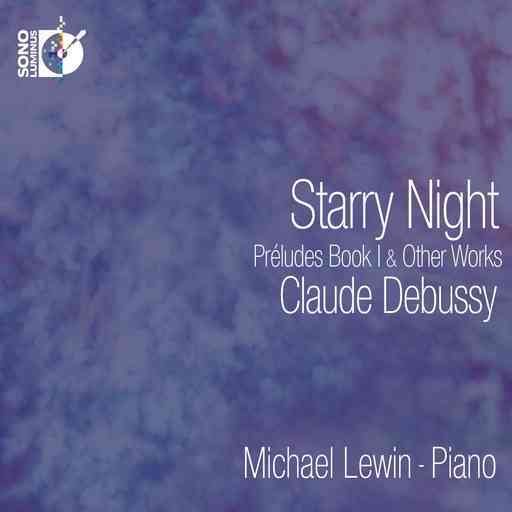 So, too, does the haphazard playing of poorly-trained, emotionally vacuous pianists serve a purpose in facilitating appreciation of and gratitude for the playing of Michael Lewin, whose triumphant new recording of music by Claude Debussy​, Starry Night [Sono Luminus DSL-92190], the sequel to the disc Beau Soir [reviewed here] yielded by the pianist’s exceptional and wholly natural affinity for Debussy’s music, is my choice for Best Solo Piano Recording of 2015. Encompassing a complete traversal of Book One of the composer’s genre-redefining Préludes​ and authoritative performances of several small-scaled gems, Starry Night is a fitting tribute both to Debussy and to the pianist whose technical and interpretive versatilities render him a conduit for Twenty-First-Century listeners’ spiritual communion with the composer. Lewin’s ardent but subtle account of ‘Jardins sous la pluie’ (Estampes, L. 100, No. 3) is aptly representative of the ingenuity of Starry Night and of his playing in general. From a vocal perspective, Lewin’s playing brings to mind Maria Callas’s singing of chromatic scales: every tone is discernibly touched, but none is unduly emphasized. In other words, an assured placement of each step ensures that the destination is never obscured by the journey. An instinctive comprehension of a piece’s provenances on its own, in the broader context of its setting, and within the narratives of the composer’s life and process, allied with an innate ability to convey these details to listeners, constitute the core of Lewin’s artistic identity. 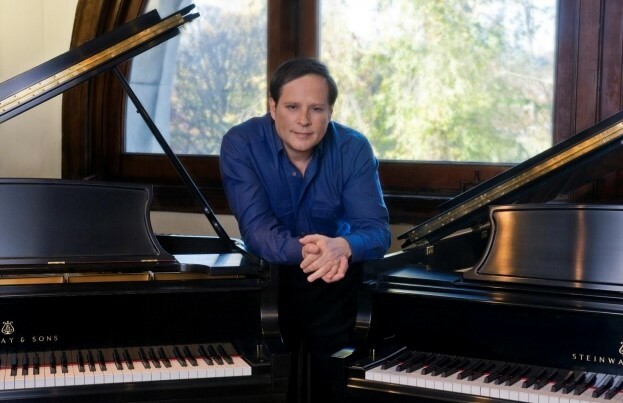 Many pianists play the works of Debussy, but, especially in the performances on Starry Night, Lewin experiences them—and enables the listener to experience them, as well. Thus does he cultivate art where others are content to hide behind artifice. To learn more about Michael Lewin, please visit his website. One of the simplest joys of exposing young children to Classical Music is watching their hilarious, often surprisingly intuitive efforts at mock-conducting. One of the most gnawing annoyances of loving Classical Music is observing how many conductors never truly outgrow that sort of naïve, unschooled stick-waving, retaining the puerility but not the uncomplicated elation. Great conductors are as varied as the scores that they conduct, the largesse of a Bernstein a world apart from the restraint of a Böhm. Indeed, insightful conducting is not always easily discerned from charismatic conducting, but it is a critical distinction. In his time with North Carolina Opera, of which company he is Artistic Director and Principal Conductor, and its previous incarnation, Opera Company of North Carolina, Timothy Myers has proved himself to be an invaluable asset to musical life in North Carolina and beyond and an exceptionally intelligent repertory conductor of the type all but extinct since the advent of the era of conductor-as-would-be-action-heroes. His accomplishments on the North Carolina Opera podium in recent seasons include a powerful semi-staged account of Dvořák’s Rusalka, a concert performance of Act Two of Wagner’s Tristan und Isolde that made contemporaneous Bayreuth efforts seem amateurish by comparison, and consistently engaging, unimpeachably musical productions of Mozart’s Don Giovanni, Puccini’s Madama Butterfly, and Verdi’s La traviata. 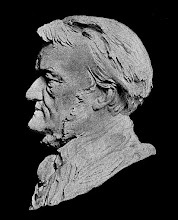 Living composers trust Myers with the preparation and premières of new music. Singers trust his leadership when making important rôle débuts. Audiences trust him to always give of his best. A prevalent theme in my writing for Voix des Arts is the worrying distrust among young conductors of the music that they conduct. A vital component of what makes a conductor great is belief in the absolute necessity of a piece being heard, a trait that is sometimes innate and sometimes acquired but is always apparent to a conductor’s colleagues and audiences. When conducting Don Giovanni, for instance, Myers clearly made choices not because Mahler did this, Maazel did that, and Mehta did something else entirely but because Mozart created a score in which the music makes its own demands, inviting individual interpretation, of course, but not to be ignored because some latter-day sage professes to know better. The results of Myers’s efforts at improving the quality of North Carolina Opera’s orchestral playing are, on their own scale, no less monumental than what first Mahler and then James Levine achieved at the Metropolitan Opera [in seasons before Myers’s residency in Raleigh, playing was seldom truly embarrassing, but it rarely increased enjoyment of performances as it has done recently], but I find the most comforting, enthralling, and gratifying aspect of Myers’s conducting to be the assurance that, no matter which score is before him, I will hear the composer’s music as it exists on the page, delivered with imagination, intensity, and, above all, uncompromising fidelity to no one’s notions of how the piece should sound other than the composer’s and his own—notions that in Myers’s performances are exceptionally compatible. Youngsters whose introduction to Classical Music is born of a fascination with the baton could find no more knowledgeable, thoughtful, and sheerly fun a rôle model than Timothy Myers. To learn more about Timothy Myers, please visit his website. 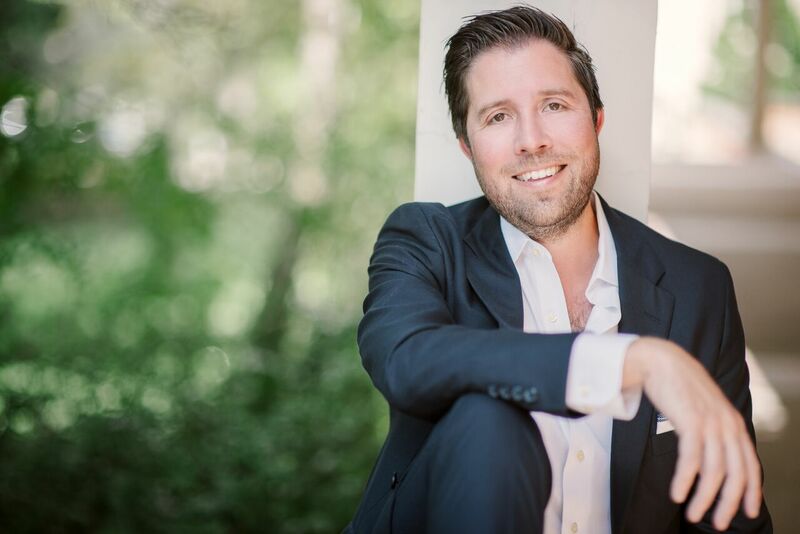 ​Dashing is a word that is tossed about with ridiculous regularity to describe every sort of performer and performance, but young American tenor ​​Andrew Owens is the personification of the overused term, vocally and histrionically. His Don Ramiro in Greensboro Opera’s August 2015 La Cenerentola [reviewed here] was the kind of performance about which Rossini aficionados dream, one in which every demand of the score was met without hedging or hesitation. In 2016, North Carolinians are granted another opportunity to hear this musical magician casting spells in Rossinian fiorature as Conte Almaviva in North Carolina Opera’s April production of Il barbiere di Siviglia. It is significant that Owens was mentored by fellow tenor Enrico Di Giuseppe, one of the unheralded heroes of American opera. When Dame Joan Sutherland’s Marie in Donizetti’s La fille du Régiment was introduced to Metropolitan Opera Saturday matinée broadcast listeners in 1972, her Tonio was not Luciano Pavarotti but Di Giuseppe, a beloved member of the New York City Opera company and frequent costar there of the incomparable Beverly Sills whose top Cs were no less stirring and even more reliable than those of his Italian colleague. The next year, Di Giuseppe partnered Gilda Cruz-Romo and Robert Merrill in a superb MET broadcast performance of Verdi’s La traviata, and he rescued the 1971 opening night of a new production of Massenet’s Werther, opposite the Charlotte of the magnificent Christa Ludwig, by substituting for Franco Corelli in the title rôle. Andrew Owens is among the very small number of tenors singing today whose vocal brilliance and firm technical footing qualify him as a legitimate inheritor of Di Giuseppe’s mantle. A true tenore di grazia, Owens is a bold singer who is unafraid of taking risks but is also unfailingly, meticulously prepared. His Ramiro provided much of the bel in the Greensboro Cenerentola’s bel canto, and his portrayals of parts ranging from Barbarigo opposite Plácido Domingo’s Francesco in Verdi’s I due Foscari to Chevalier Léon in Darius Milhaud’s La mère coupable during his tenure as a young artist with the company of Vienna’s Theater an der Wien have disclosed an uncommon capacity for thoughtful, thought-provoking characterizations. What I find most fascinating about Owens’s singing is the ambiguity that he conveys by vocalizing so confidently whilst finding and spotlighting among the traits of the men he portrays touching elements of vulnerability. There is something unique and endearing about a Ramiro who sings Rossini’s music with absolute ease but seems wholly sensitive to the fact that happiness is not something obtained by royal prerogative. In part, this is a parable of the genre itself. Opera in the new millennium is no longer conquered by voice alone, but Owens is a crusader who reminds us, as Enrico Di Giuseppe reminded a previous generation of listeners, that a well-schooled, well-used voice is the heart of an important artist, of a successful performance, and of the survival of opera. To learn more about Andrew Owens, please visit his website. In the magnificently tumultuous history of song, there have been near-continuous progressions of great singers and great voices. In the first instance, there are singers who excel despite an absence of vocal resources of the highest order. By contrast, there are singers who are only occasionally satisfactory as technicians but whose voices are exquisite instruments. Perhaps rarer than any other occurrences in music are those in which talent and technique intersect, thereby genuinely meriting application of the oft-abused distinction of artist. 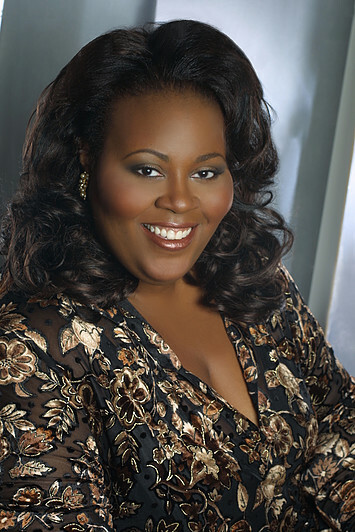 Hearing the singing of dramatic soprano Angela Renée Simpson, whether she is portraying a storied heroine of the operatic stage or bringing a composer’s intentions to life in concert or recital, is to wholly understand the indelible catharsis of surrendering without hesitation to an artist whose voice is as miraculous as the intelligence that sustains it. When assessing performances by singers, my analyses are guided by what I hear, but it is impossible to consider a performance by Angela Renée Simpson without thinking first and foremost about what her singing causes me to feel. To experience her vocal acting as Serena in Porgy and Bess or Queenie in Showboat​ is to know how it must have felt to hear Nordica’s Brünnhilde, Fremstad’s Salome, Flagstad’s Isolde, and Varnay’s Elektra. Comparing voices, particularly those of great quality, is a dangerous and essentially useless sport, but the singers who voices resound in my mind’s ear when I contemplate Simpson’s artistry are Eileen Farrell and Jessye Norman. Like the former, Simpson is not heard in her native country’s opera houses with anything approaching the frequency that her talents warrant, and, like Norman, her vocal and dramatic abilities cannot be neatly compartmentalized and pigeonholed. Simpson has both suffered and benefited from today’s musical establishment’s bumbling ignorance of how to train and maintain dramatic voices. Crucially, though, she has thrived on the freedom granted by the failures of conventional methodologies, honing her technique according to the physical and expressive dimensions of her voice and polishing her artistry within her own parameters, not someone else’s. When hearing Simpson’s voice surging from the abyss of despair in ‘My man’s gone now,’ Serena’s lament for her murdered husband in Act One of Porgy and Bess, it is virtually impossible to not be reminded of the rôle’s creator, the radiant Ruby Elzy, whose brief life tragically ended not long before she was to have sung her first Aida. Could she have heard her successor as Serena sing Verdi, ‘ol’ man sorrow’ might have been held at bay for a while. Then again, it is difficult to imagine that a voice like Angela Renée Simpson’s does not reach heaven every time that its owner sets it free. Without question, her singing propagates cherished oases of heaven on earth whether the words are those of Catfish Row or the disconsolate daughter of the Ethiopian king. To learn more about Angela Renée Simpson, please visit her website.